Specializing in handmade boutique tooth fairy pillows for boys and girls designed to become a treasured heirloom keepsake. Original Art and Hand Painted Home Decor for your Shabby and Chic, Romantic, Victorian or Cottage Home. A top list that features a unique collection of top designer boutique on the web. 5 High Strung Beads, Etc. Handcrafted jewelry and accessories. Most pieces are one of a kind created from the finest materials. 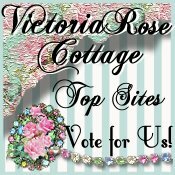 Come Join The Needlecraft Nook Top 100 Sites! Not just a place to shop, but also a place to connect and share. So, sit back and relax. Make yourself at home and stay a while! Check out our topsites! Baby Boutiques with great gift ideas for the modern mom. Unique and well made using designer fabrics. Baby Accessories including, Nursing Covers, Car Seat Covers, Bibs, Burp Cloths, Blankets, Custom Clothing, Hair bows and more! Boutique custom pettiskirts, pettiskirt sets, fantasy wings, MommasTouch limited edition clothing.